The Invisible Ink Series gives teachers the secret ingredients to unlock the full potential of children's learning abilities. Too often in formal schooling, creativity and curiosity are taught out of children. Teaching for Creativity offers practical advice on how to ensure that this does not happen. No teacher intends to teach creativity out of their pupils; no teacher seeks to rid children of their imagination. But the constant need to demonstrate academic progress has created a learning environment non-conducive to creative thinking and creative behaviour. By focusing on key features of the learning environment, this book will help teachers to preserve children's innate creative capacities at the same time as maintaining academic standards in the classroom; it's not either/or, it's and. Practical ideas and activities are offered throughout, as well as references to the Government's Teachers' Standards. 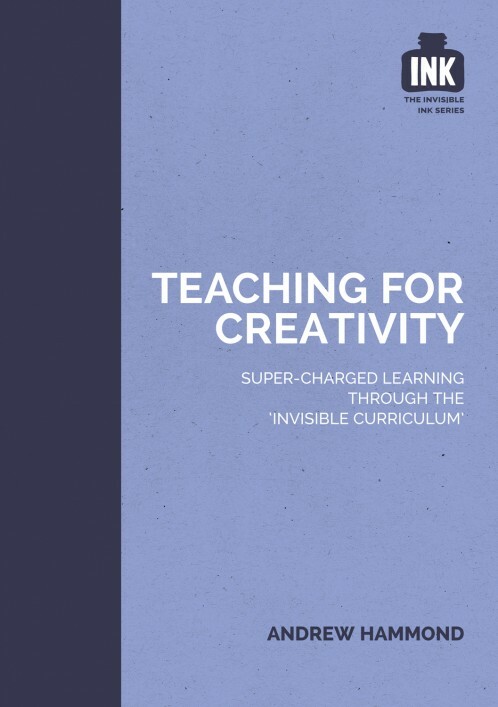 Teaching for Creativity is the second book in the Invisible Ink series, in partnership with INK Education, that aims to shed light on the ‘Invisible Curriculum’ and the secret ingredients that really unlock a child’s learning potential. Very stimulating reading supported with useful tips to practise in the classroom. A must read for all teachers, leaders and parents.